Good morning ... D.C. readers — Axios has three big breakfast events this week: Tuesday, Mike Allen and Kim Hart lead a discussion on tech responsibility. Wednesday, Kim breaks down the future of 5G. And on Thursday, Vitals’ own Bob Herman joins Mike for a conversation about the way innovation is impacting the health care marketplace. RSVP here. 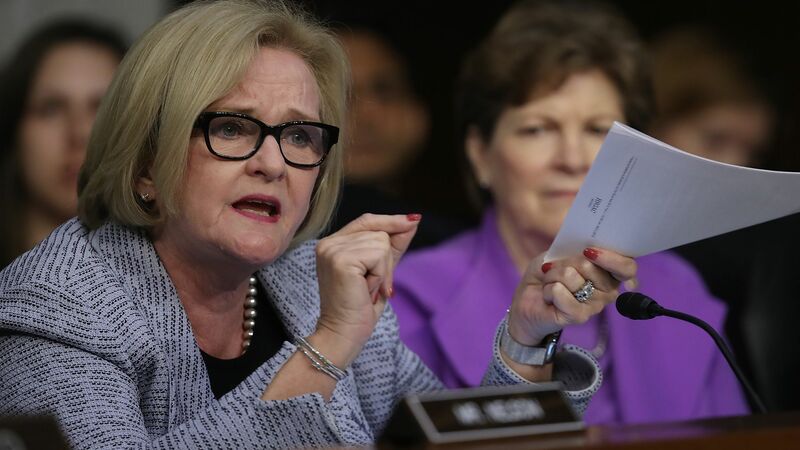 Vulnerable Senate Democrats are highlighting drug prices and the opioid epidemic — issues with the pharmaceutical industry as the common villain — as they try to make their cases to voters, my colleague Caitlin Owens reports this morning. Many Democrats up for re-election in the Senate — including Joe Manchin of West Virginia, Sherrod Brown of Ohio, Bob Casey of Pennsylvania and Claire McCaskill of Missouri — represent states that have been hit hard by the epidemic. They've co-sponsored a long list of bills, and taken other actions, on the issue. And in the House, Republicans in swing districts are the ones pointing to their votes tackling the opioid epidemic. The Dallas Morning News has a detailed investigation of apparent holes in Texas' Medicaid managed-care program — holes that almost killed a baby in foster care in the state. The story centers around Superior HealthPlan, a Centene subsidiary with a lucrative managed-care contract, and D’ashon Morris. He was born premature and with severe birth defects — including trouble breathing, which required a tracheostomy tube that required constant attention from nurses. Superior said D’ashon did not need individual, round-the-clock care, the News reports, and would only pay for a nurse to be shared between D’ashon and his even sicker sister. His nurses objected, saying the boy "requires immediate skilled nursing intervention to prevent further developmental harm from lack of oxygenation, if not death." That's exactly what happened: One morning, D’ashon dislodged his trach and stopped breathing. After 40 minutes of CPR, his brain had gone too long without oxygen. He now has daily seizures and will depend on machines for the rest of his life. Managed care gives companies like Superior an incentive to limit care because they can keep the dollars they don't spend, the article reports, going on to detail the steps Superior took to avoid paying more for D’ashon's nursing care. At one point, rather than have a nurse on hand to react when the child scratched at his trach, Superior suggested tying his hands together. HHS officially delayed an ACA policy, for the fifth time, that would fine drug companies for “knowingly and intentionally” overcharging hospitals for drugs within the federal discount program known as 340B. It’s now slated to go into effect July 1, 2019. But some wonder if it’ll be kicked down the road indefinitely, like the ACA’s “Cadillac” tax. What they’re saying: Hospitals are livid about the delay, arguing the federal government is acquiescing to the drug industry. “The irony is not lost on us that drug manufacturers continue to lobby for increased [340B] reporting for hospitals and others while refusing any transparency on their part,” American Hospital Association lobbyist Tom Nickels said in a statement. 5. While you were weekending …. FDA Commissioner Scott Gottlieb warned e-cigarette manufacturers to “step up soon” on youth nicotine use, if they don’t want the FDA to handle the issue on its own. “The window is open. But it won’t be open for very long,” he said. Many women with early-stage breast cancer may not need chemotherapy, NBC News reports. All eyes are on Arkansas as it tries to actually implement and enforce Medicaid work requirements, Modern Healthcare notes. McClatchy looks at the largely unregulated "wild west" of DNA testing. The New York Times is the latest to note that, because many seniors purchase supplemental insurance for Medicare Part B, moving drugs into Part D could ultimately cost them more. Editor's note: We corrected the spelling of Sen. Tammy Baldwin's name in the top story. What are you watching this week? Let me know: baker@axios.com.